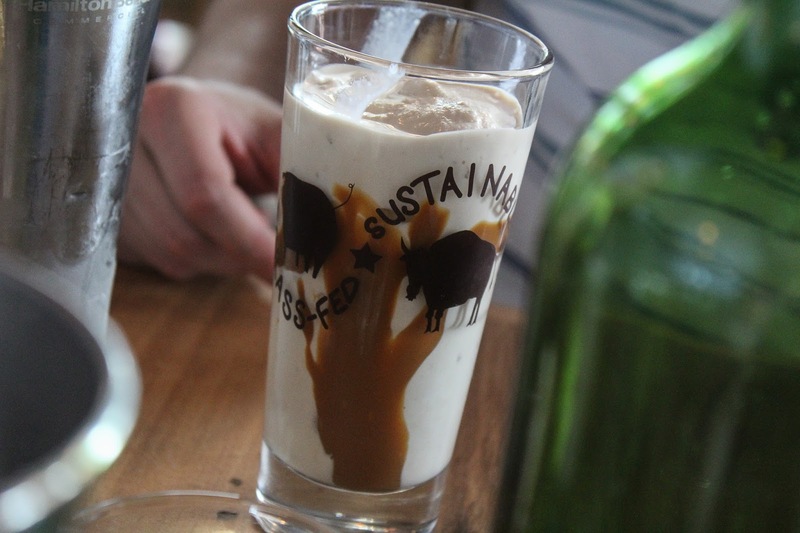 Brunchin’ at Bareburger – Reviews + grub knowledge from CT, NY, and beyond. We’re feelin’ those weird photos. Animal heads on people! Yasss! 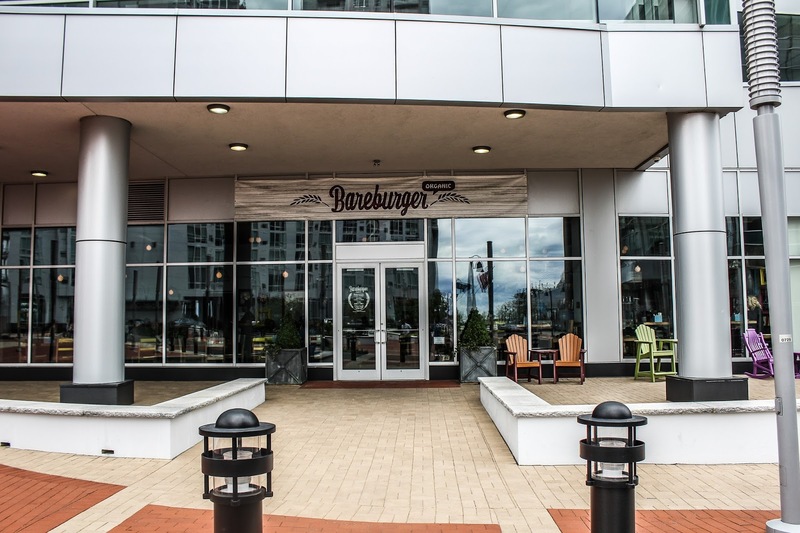 It’s kind of crazy to think that I’ve only ever been to a Bareburger one time. 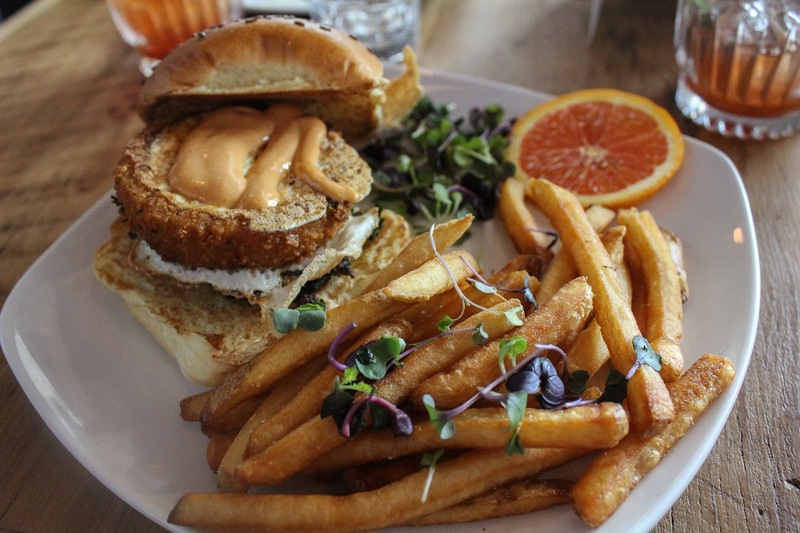 I went to the Ridgefield location shortly after they opened to check the hype, but never reviewed it because I only had a burger, fries, and one of their homemade sodas. The result? It was good. I didn’t jump out of my chair but the burger was solid enough where if I had it again I wouldn’t be upset. 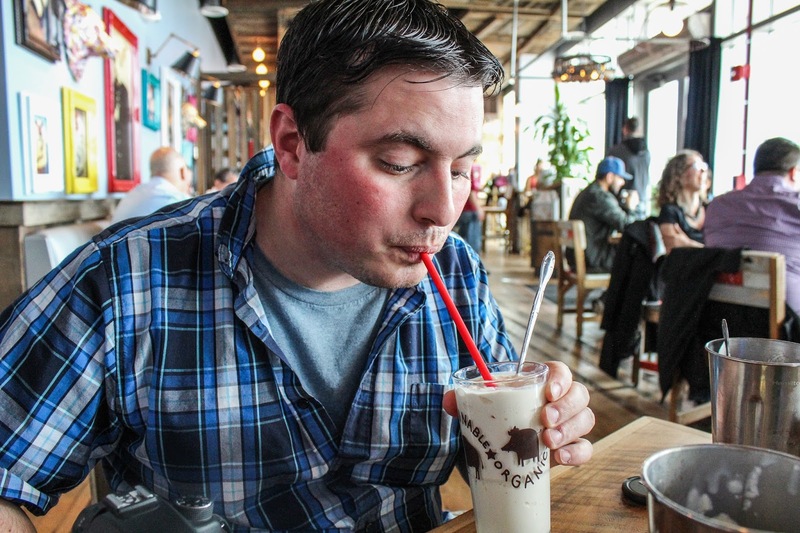 The buzz about Bareburger in Connecticut, and from people I know and trust, is that it’s hit or miss, sometimes good, sometimes pretty average. 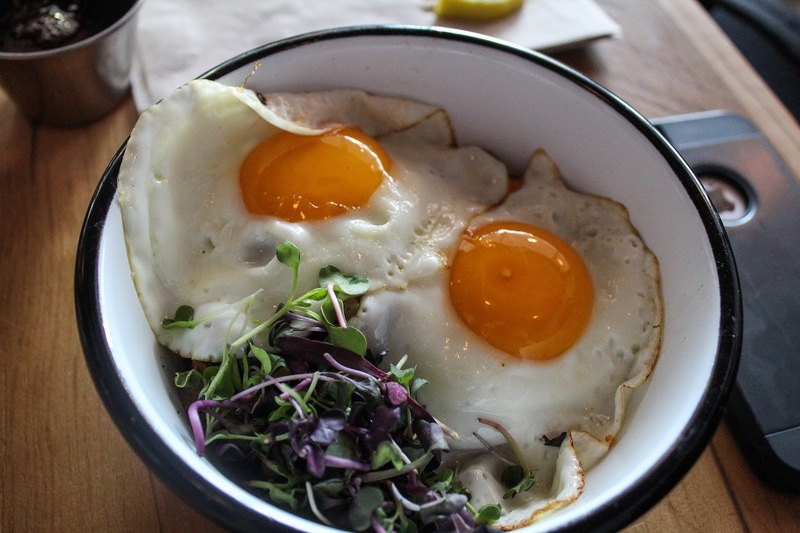 Recently, the Food Dudes were invited to check out the recently opened Stamford location and we jumped at the chance to not only try a place we heard had some inconsistencies, but also to try their brand spankin’ new brunch menu. We can sum this experience up in two words…Pleasantly surprised. 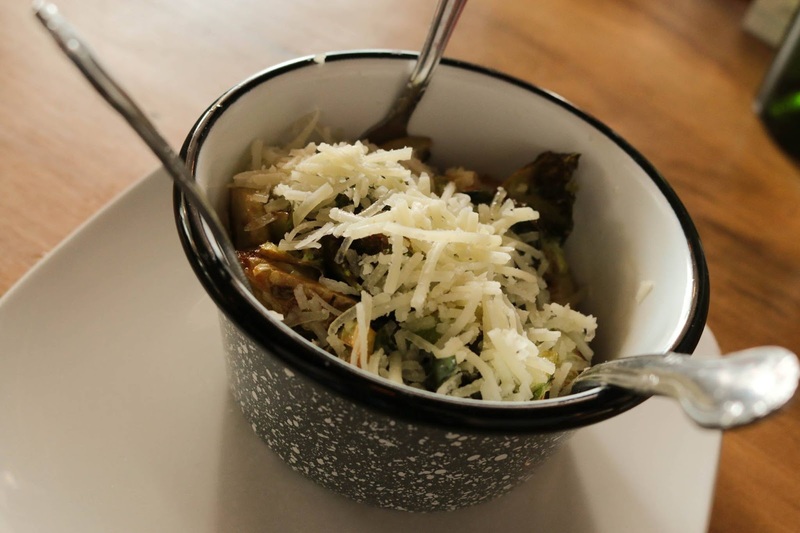 Brussels sprouts with lemon juice and manchego. Fragrant and a good pungent punch from the cheese. 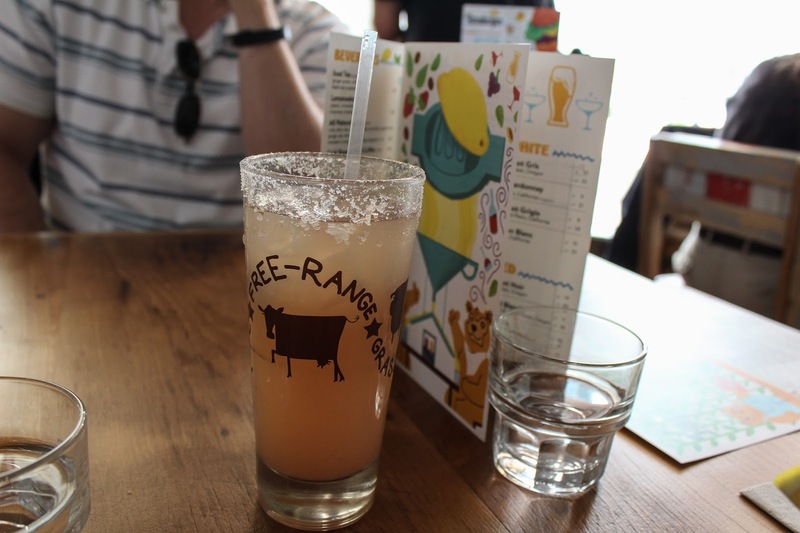 For this review we stayed true to the brunch theme so there are NO BURGERS mentioned here, although we would’ve downed more than one, I’m sure of it. We strayed from the brunch section just the once and it was for the Brussels sprouts (worth it!). Starting brunch with booze is always optimal. If you’re a fan of bloodys, Bareburger offers three: Bloody Veggie (vodka, house bloody mix, fresh horseradish, giardiniera), Big Bear Bloody (with peppered salami instead of giardiniera), and Bloody Maria (with tequila instead of vodka, served with a jalapeño popper). 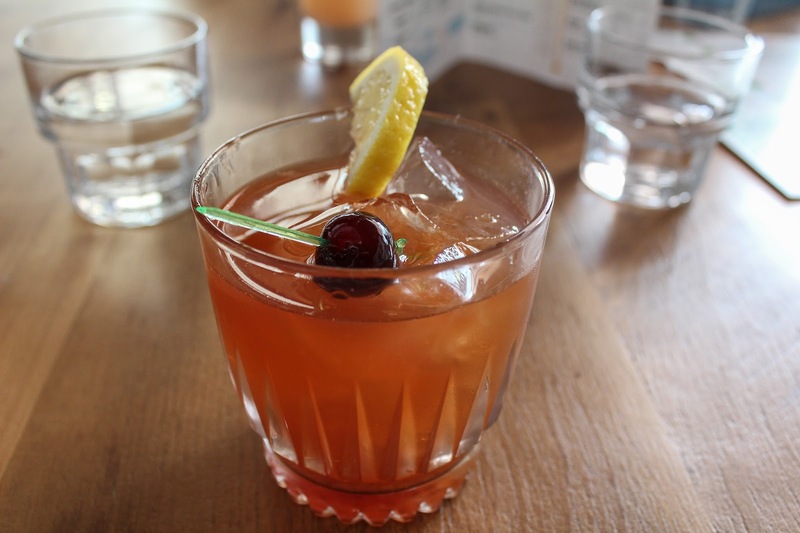 Damion and I opted for Old Fashioneds and thought they were solid overall, but could have used a bit more strength. Then again, it was barely 1 p.m., and we’re not drunks. Rob stuck to the brunchy drinks and went with a Salty Dog, an ice cold, refreshing grapefruit and vodka concoction with a salted rim. Worth noting about the drink menu is the decent craft beer selection available in 20 oz, 34 oz, and…wait for it…60 oz! FTW! Probably don’t drive if you do the 60, just sayin! Lots of #yolkporn. That’s love. The ultimate breakfast sandwich? We think so. 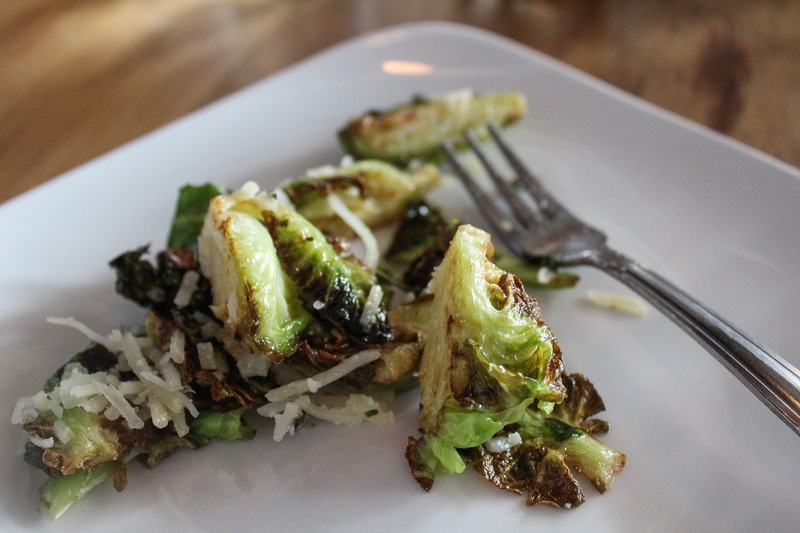 After we downed the Brussels sprouts we tried four different dishes. 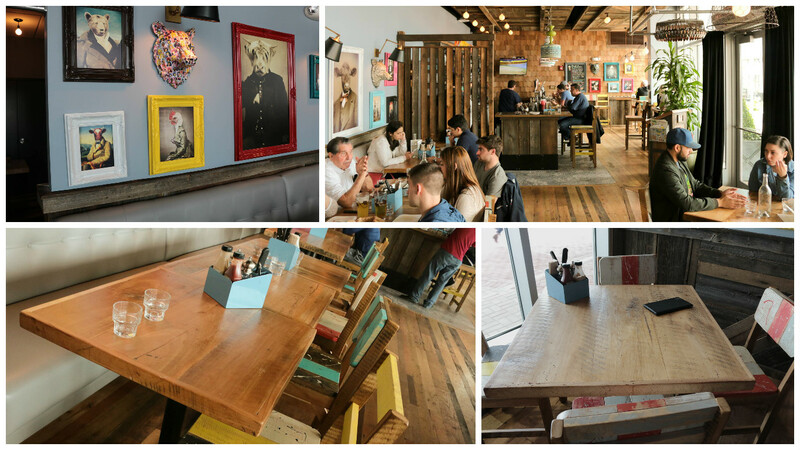 The breakfast sandwiches are musts at Bareburger. 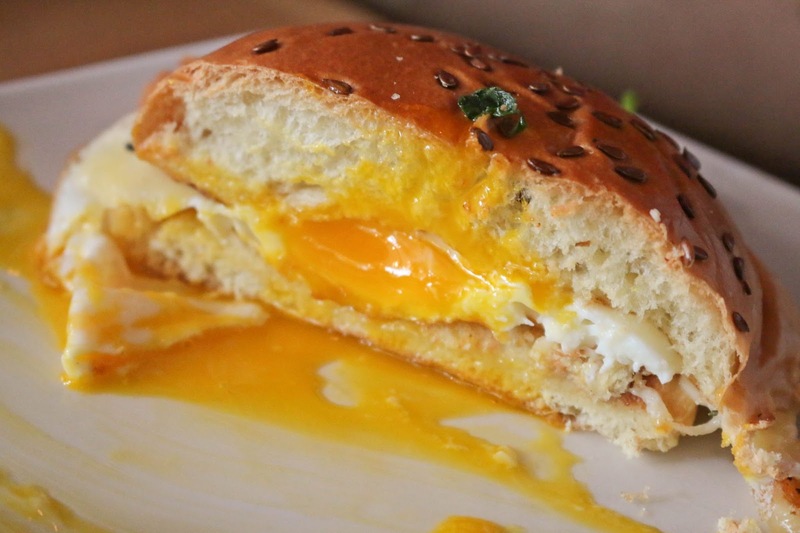 The Morning Commute was a simple sandwich with a perfectly cooked and runny sunny side up egg with melted aged cheddar on brioche, and for most that would be a suitable breakfast most mornings. On weekends though, and when you’re nursing that mean hangover, you NEED the Cuckoo’s Nest (onion ring fried egg, brisket & potato hash, cheddar, and habanero mayo on brioche). It’s as good as you think it would be and if it leaves you feeling guilty, who the hell cares? Brunch calories don’t count. 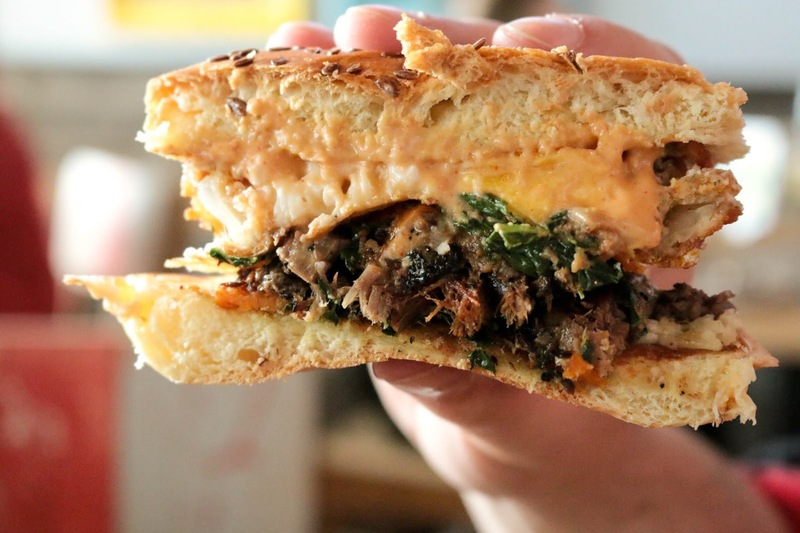 This crispy, meaty, melty monster is already one of my favorite breakfast sandwiches ever, anywhere. That’s what’s under there. So damn good when you mix it up a bit and spread that golden yolk. 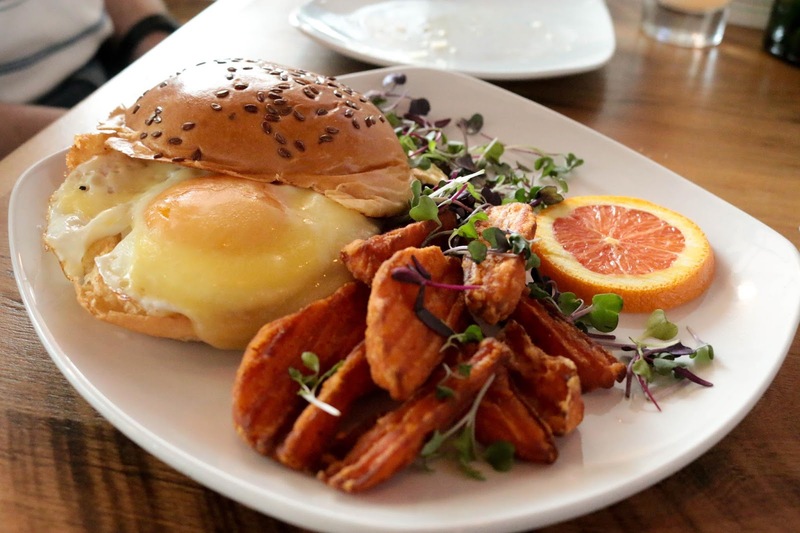 Aside from breakfast sammies, you can get a classic-type plate like the Hungry Bear (three eggs, French Toast, meat choice, potato choice) or the Hungry Cub (two eggs, meat choice, potato choice), and Bareburger has a handful of kid’s menu options. 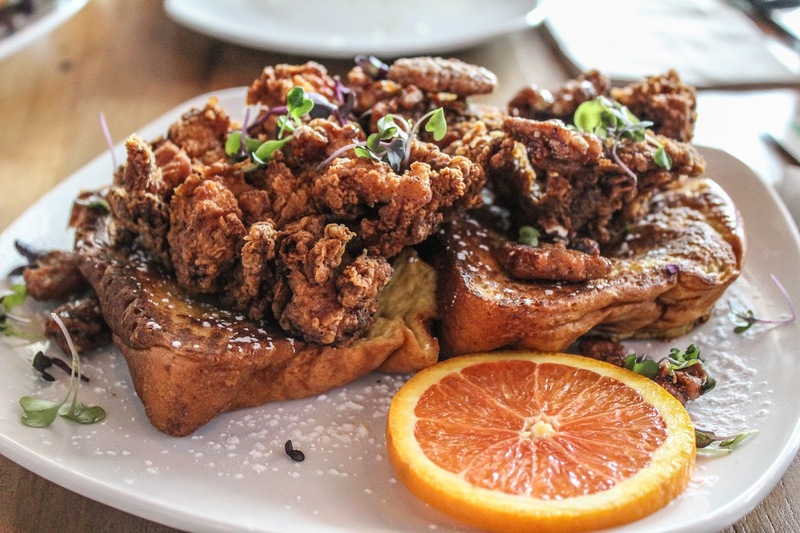 If you’re a Food Dude, you go right for the Fried Chicken & French Toast (maple syrup and candied pecans), basically a mockup of chicken & waffles. The French toast was thick cut, battered nicely, but cooked through the way it should be. The boneless white meat chicken was crispy and juicier and more tender than I thought it would be. If that dish was the Food Dudes’ consensus pick, my personal fave was the Hash Sheesh (two sunny eggs, brisket, potatoes, sweet potatoes, habanero mayo, picante relish). 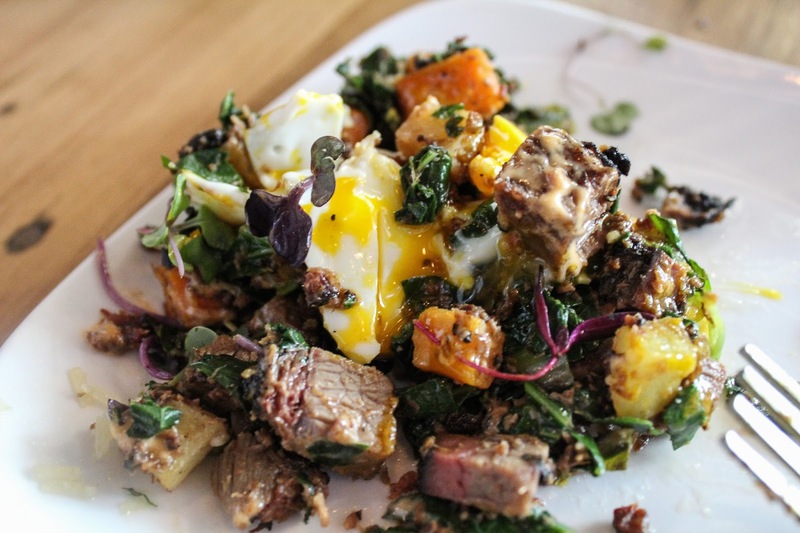 I just happen to really like hash bowls and this one worked for my taste buds with spice, lots of yolk, and meaty chunks of brisket. Damion out here straight gettin’ it! 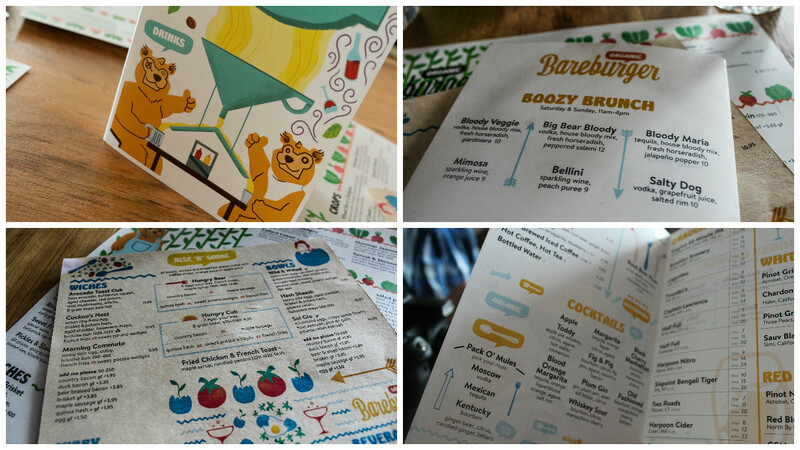 We came away impressed with Bareburger’s brunch and can’t really speak about burgers this time around. We didn’t find a whole lot wrong here, except our drinks did take a while to come out, but after that the service seemed to hit a nice stride. 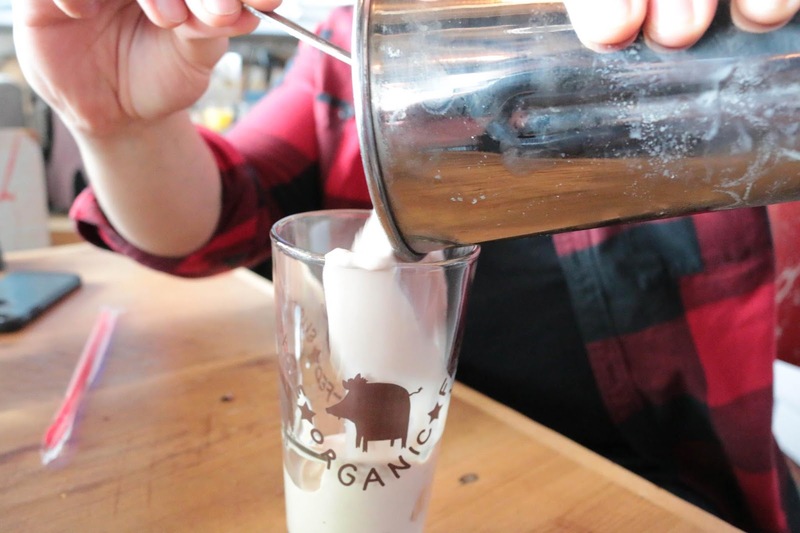 If you decide to go and indulge in a brunch similar to ours, at least finish it off proper with a thick milkshake and then go home and partake in a weekend nap. You earned it.